For five generations, we have maintained a tradition of excellence. Read testimonials from many families regarding their satisfaction with Geib Funeral Home. From funeral pre-planning, to funeral service arrangements, cremation service and pet cremation service. Our family has known about Linn Hert Geib since I grew up in New Philadelphia and my parents wouldn’t go anywhere else! On behalf of my entire family I would like to first of all, thank you Nick for managing our fathers funeral arrangements. My family and I would highly recommend Linn Hert Geib funeral homes from start to finish – exceptional treatment! Recently I was working with my parents, Russell and Vivian Harmon, concerning end of life and elderly care issues. We found Nick to be very thorough, non-invasive, and very professional as he guided us through the discussions and decision making process. We highly recommend Nick and his company, and urge anyone not to put off this very important elderly care planning. We went to Linn-Hert-Geib to make the prearrangements for my mother’s funeral. Nick was amazing. He was knowledgeable and patient throughout the entire process, and we couldn’t have asked for better service. We would recommend Nick and Linn-Hert-Geib to anyone! At a very difficult time the staff at Geib Funeral Home helped me through the many decisions I needed to make to plan a funeral. They were professional, compassionate and offered friendship when I most needed it. I will always be grateful. I cannot express enough “thank yous” for the tenderness and caring effort that has been extended to me in the cremation process of my beloved pet and companion, Tim. The Geib Family has guided me through 3 funeral services in 7 years. Each situation was different, but the end result was the same – just the way I wanted it. From the announcement in the paper through the services and the lunch, I had nothing to worry about. They took care of everything. All of the personnel at Geib Funeral Home are compassionate and anticipate every need. I was made to feel as if I had gained new friends. They were efficient while being understanding. After the sudden, unexpected death of our beloved son from an unknown medical condition, our world fell apart. The entire ” Geib family ” was supportive and compassionate and truly became a pillar for us to lean on in such a devastating time in our lives. 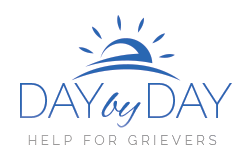 My wife Dianne and I decided that we wanted to make our burial arrangements to save our children the task of doing it while in their time of grief. Nick’s experience and guidance helped us to walk away feeling secure that at our end not only will our family be in good hands but our final request be honored. Thank you Nick for all the help and consideration and the extra steps that you took in making it a comfortable experience.